Growing up and until the past 6 or 7 years, I (along with the vast majority of the Cluster) deeply respected the work of the Sisters of Eve. Well, that’s not entirely true. I still truly admire the work that they do to across the Cluster alleviating suffering and setting up refugee camps for those displaced by war or the malice of capsuleers. Through their Food Relief corporation, they alleviated famine for millions. With advanced technology, they’re trusted by all 4 empires to be first responders in any kind of emergency situation, be it war or natural disaster. I could even stand their weird (to me) religious obsession with the Eve Gate, particularly in light of my own more academic interest in the deep past of New Eden. But over the past few years, I’ve noticed something always seems a bit… off about them. They consistently seem to know far more than they ever let on about some of the more mysterious events that have occurred over the past decade. 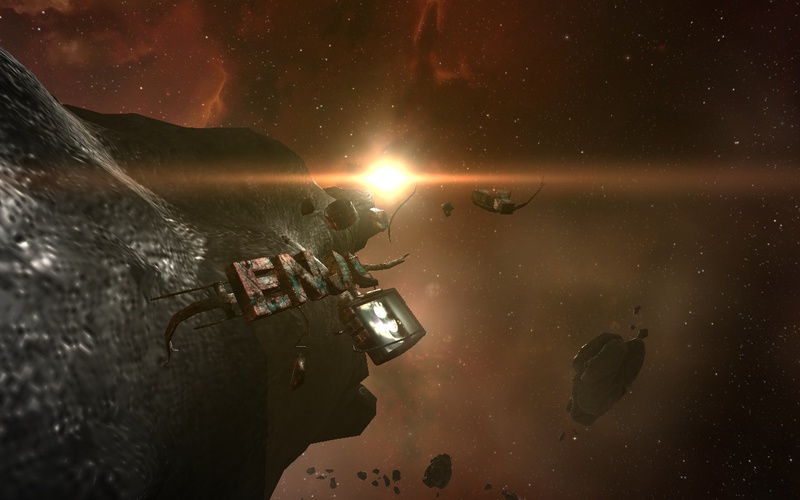 I’m still wondering how they managed to sneak their way in to Thera and start to colonize it before it was connected to the broader wormhole network. And they’ve been hanging out in the Drifter Hive systems for almost 2 years now performing some sort of in-depth survey. Anything they do discover is either hidden until some other group forces their hand or they spring it on the Cluster with apparent disregard for any protocol. It’s a puzzling choice on their part. The stylized symbol is a symbol of Project Disvoery. With all of this in mind, you may understand my reticence regarding the Sisters of Eve launching the initial phase of Project Discovery, a collaborative science initiative that brought the capsuleer community into the forefront of genetic research by studying genetic samples taken of the Drifters. Although it had the possibility to significantly advance our understanding of human genetics and provide sorely needed insight into the Drifter threat, the project, with no public oversight of its use, could lead to monstrous results as well. In classic Sisters fashion, the research arm of the Sisters remained mum on any insights they may have gained as a result of their research. 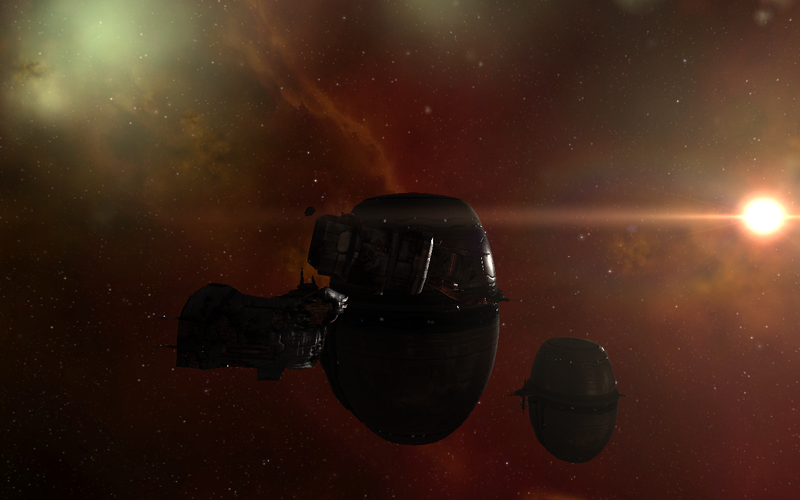 Oddly, though, after Project Discovery started, new drugs and boosters began appearing throughout New Eden that had pronounced effects on capsuleers. I’m sure it was purely coincidental. Still, given that I had participated in at least the initial phases of the Sisters’ stage of Project Discovery, it was with significant interest that I learned recently that the Sisters of Eve were looking to memorialize their time as the lead research group of Project Discovery (the project having since shifted to CONCORD oversight; another organization I could gripe about for some time). After the memorial was opened to the public in Lanngisi this week, I made my way over to see how, precisely, they were choosing to commemorate their time and research, especially given my wariness when it came to anything involving the Sisters and their interaction with the capsuleer community. 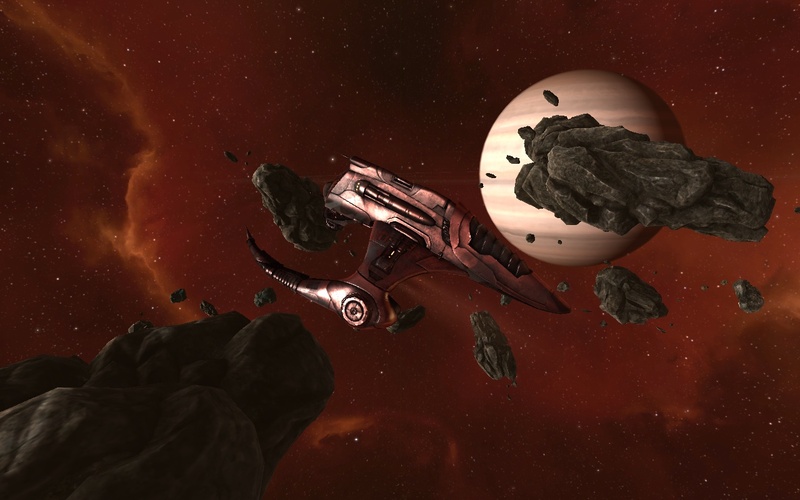 In YC118, the Sisters of EVE launched the Project Discovery citizen science platform to the capsuleer community through the GalNet. Beginning on YC118.03.09, Project Discovery’s Phase One work was aimed at achieving a comprehensive categorization and analysis of tissue samples acquired from the Drifters since their emergence in early YC117. Led by Professor Emma Lundgren, Chief Scientist for the SOE advance research division, Project Discovery Phase One was particularly successful in mapping out a comprehensive protein atlas from the Drifter tissue samples collected and analyzed during the term of the project. Project Discovery Phase One came to an end on YC119.07.11, after 16 months of highly successful work. Project Discovery Phase Two is a new Exoplanets Hunting Program and is being operated under the guidance of CONCORD’s Chief of Deep Space Research, Professor Michel Mayor. 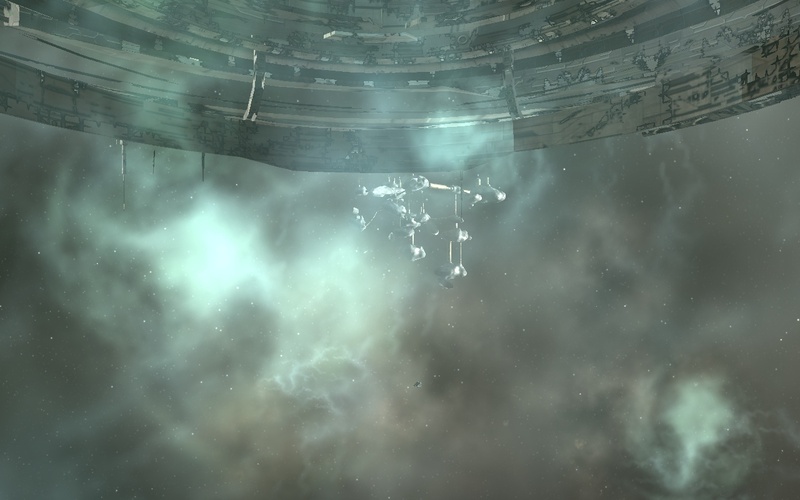 Please query the Phase One Monument’s database for records of those capsuleers who were elite research contributors to Project Discovery’s tissue analysis work. Technical Note: there appears to be an open Entosis Link port on this structure. My eyebrow quirked. It seemed almost personally designed to pique my interest in a way to make me willing to directly connect to a Sisters of Eve computer with my own mind. Thankfully, I still had an Entosis Link fit on Professor Science after running some additional tests on the Jove Observatories earlier this year (and having discovered that sometimes the most unexpected objects are susceptible to Entosis Link effects), and so I tentatively activated the Link on the monument. As Aura promised, I was soon rewarded with a summary of the top capsuleer researchers who helped with Phase One. However, on a whim, I decided to run the Link again to see what would happen. The monument is a hive of activity. Surprisingly, I didn’t gain a second version of the report. Rather, I gained an item called a “Project Discovery DNA Reference (Gallente)”, which was apparently a reference set of genetic data pertaining to the Gallente bloodlines. My already quirked eyebrow… quirked even more. I spent the next few minutes running yet another Link cycle on the monument, to be rewarded with a DNA Reference of Jove bloodlines. It quickly became clear that the Sisters were providing this data on all 5 major races of New Eden (though, of course, the Drifters, the ostensible focus of Phase One, were nowhere to be seen). But to what end? That was the million isk question. At this point, we are left only to guess. I’ll note, however, that my fellow researchers over at the Arataka Research Consortium have done some very interesting work on a new implant that has surfaced this week that appears to be related in some way to the data being released by the Sisters at the monument. Unfortunately, as is usual with the secretive organization, the Sisters have so far refused to comment on ARC’s findings, and CONCORD’s only response appears to be to warn against using untested technology. And so we are left with far more questions than answers, but at this point, as much as I hate the feeling, I can’t say I’m not used to that. Potential Hazards: If you’re below a -4.5 in security status, or -5 standing with the Minmatar you’ll have to deal with some rather unpleasant policemen. 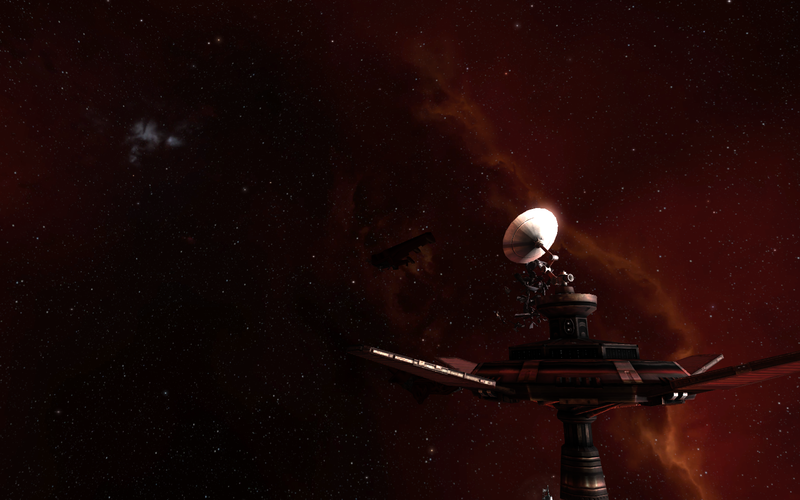 Additional Note: The monument is NOT marked with a off-grid visible beacon, but is located about 50 kilometers off the Sisters of Eve station in Lanngisi (the only station in the system). The construction site found in Mara. My legs are cramping. Given that I was in a pod, that was a feat in and of itself. The pod is a marvelous piece of engineering, designed as a complete life support system to protect that little kilogram and a half bundle of neural tissue that we call a brain. The pod feeds the body nutrients, exercises muscles, and provides alternative sensory input all to make the brain (and body) forget that its cooped up in a 2-3 meter capsule and not moving for long stretches of time in order to control a hulking interstellar spaceship. It’s designed to do this for weeks, months, maybe YEARS at a time. But here I am, only 6 weeks into my quest to find a fairly rare and specific site in Anoikis, and I can definitely tell through all of the neural input filters and thousand distractions that come with piloting a starship that my legs are cramping up. I have no idea how Katia Sae does it. But the story of that particular is for another time, if only because I have yet to actually find it. Instead, while browsing galnet a week ago, a news item caught my eye that eventually prompted me to take a sojourn back to civilized space for a little bit. 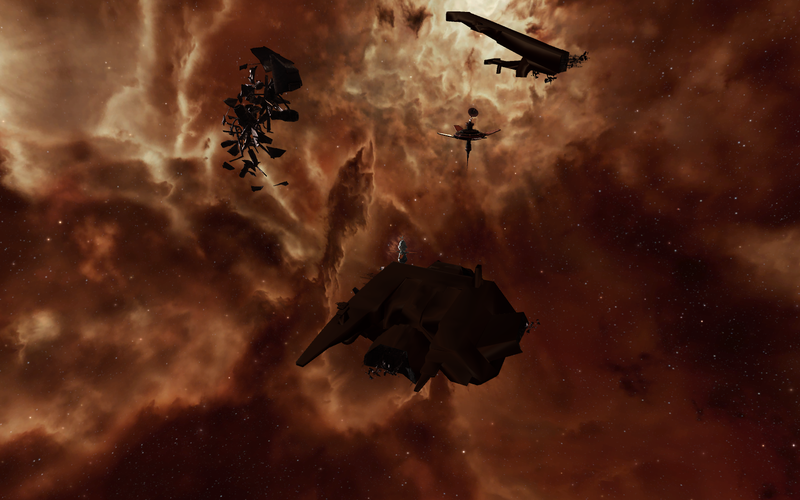 Those of you watching the news are probably aware of the waves being made currently by Upwell Consortium. The Consortium is an alliance of corporations from across New Eden looking to bring new technology to the public. 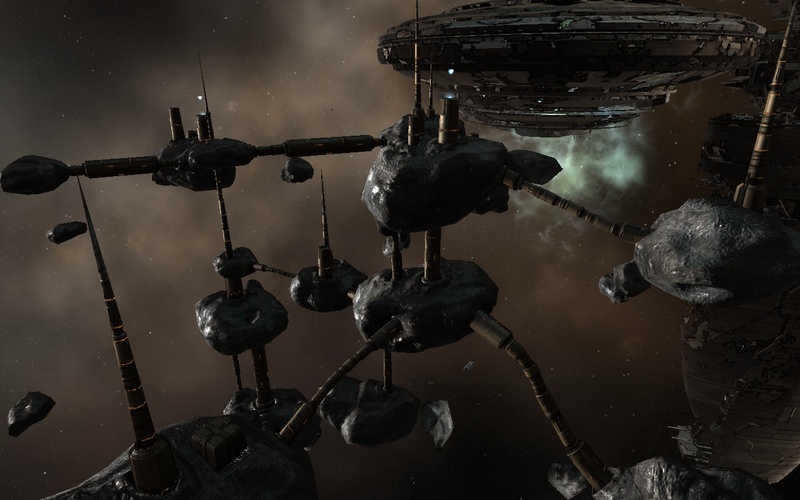 Beyond giving the Serpentis a (rather deserved) public-relations black eye, the Consortium is perhaps most well-known for looking to release so-called citadel stations, which look to up-end the market for capsuleer-owned station services. 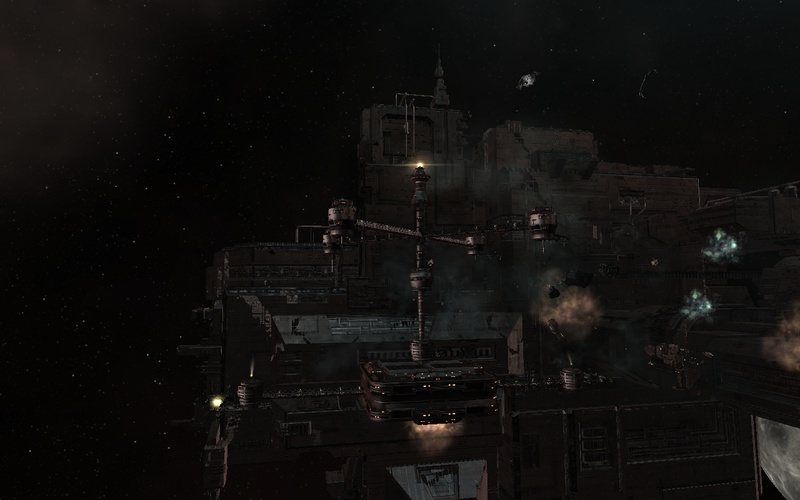 In order to promote their upcoming line of citadels, Upwell has decided to build some demonstration citadels to show their advantages. 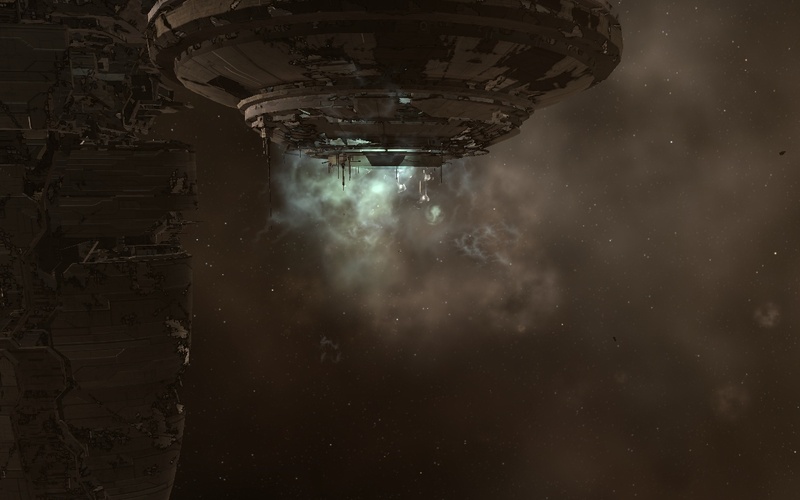 Unfortunately, I decided to make a trip to see one such citadel, being built in Ourapheh, shortly after it was destroyed by a group of capsuleers who were apparently just looking for trouble. Sadly, I didn’t realize this until after I had left the confines of my temporary wormhole home and made the trip to Ourapheh. 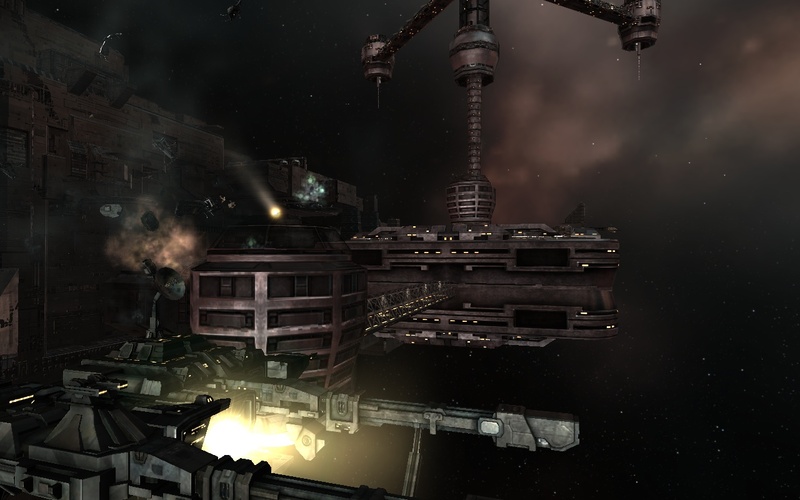 Upwell, however, seemed completely undeterred by the attacks on all 5 of their demonstration sites (found in Ourapheh, Anjedin, Asgeir, Mara, and PF-346), and quickly announced that the demonstration sites had been restarted with better security and the removal of a computer virus. That being said, the announcements were made by Upwell’s Department of Friendship and Mutual Assistance. If history is any guide, departments with name such as this tend to have precisely the opposite effect, but I guess I will have to see how these play out. However, with the construction projects now restarted, I quickly made my way over to the new sites. Apparently, the second time is the charm, and I arrived at a not-blown-up construction site. Admittedly, there was not much to see at this point. The construction site was close to the Customs Office orbiting Mara I, although for now it consists of little more than multiple landing platforms to coordinate supply runs and a multitude of manufacturing sites. 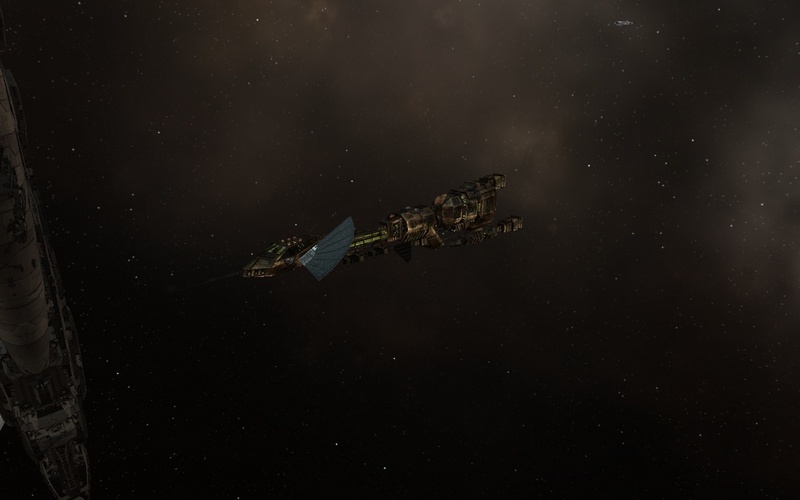 Although a bit of work could be seen occurring in the manufacturing yards, little could be seen by way of output, perhaps because Upwell is still waiting on research components to fuel construction. 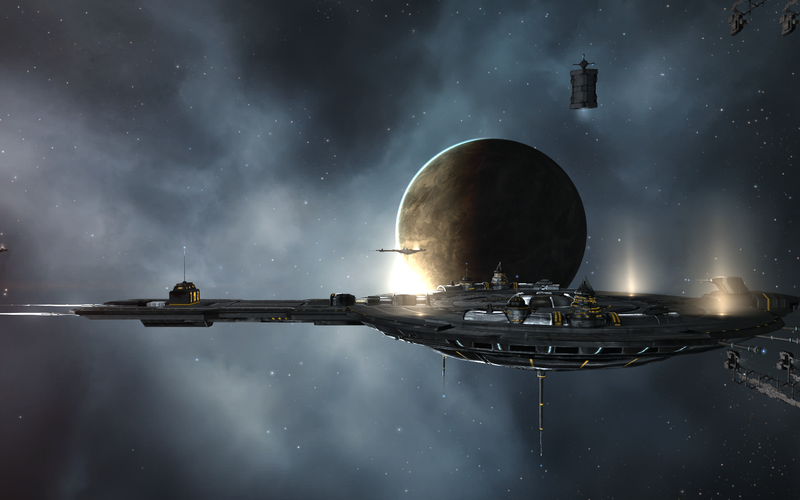 I look forward to seeing the finished sites, however, as all reports of the citadels thus far indicate that even the smallest versions will still be quite sizeable, while the largest version will be able to dock even the largest titans. Those will truly be sites to see, and hopefully someday I will be able to. 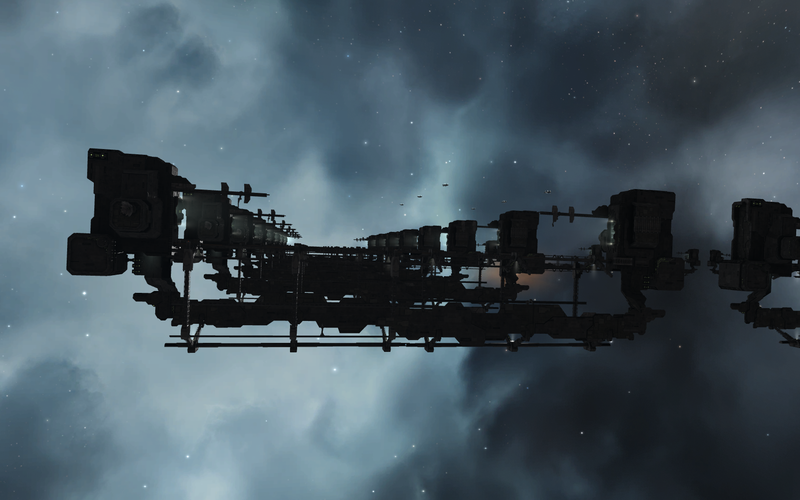 That being said, however, my ability to someday see the largest citadels seems contingent on me someday leaving Anoikis to come back to New Eden. After spending a few minutes at the site wondering what was to come, I reversed my course and headed back to my temporary wormhole home. 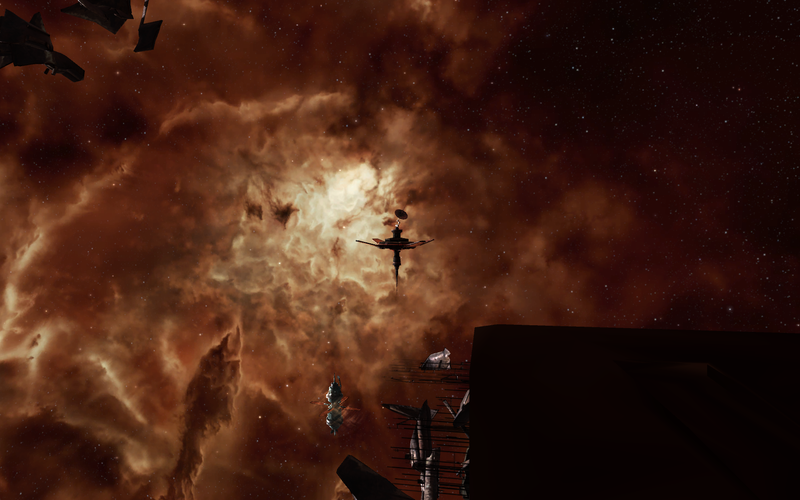 Even though I was only in New Eden for a few short moments, it was nice to see the hustle and bustle of civilized space, not to mention actual ships instead of the feeling of dread that comes over me in Anoikis when probes show up on the d-scan that aren’t my own. Regardless, I was in it to the end. While the Children of Light may have defeated me, I am content to live in Anoikis as long as it takes to find what I’m looking for, even if it means dealing with leg cramps. 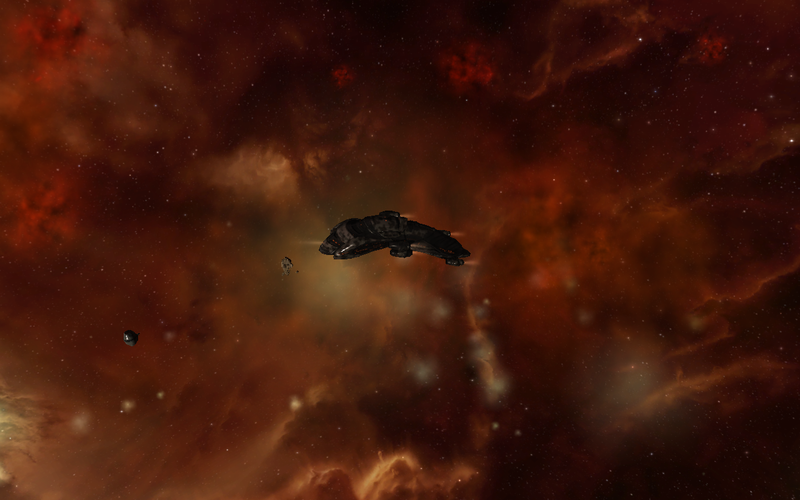 With one last look around at New Eden, I went forth once more into the great unknown. Security Rating: 0.9, 0.5, 0.7, 0.4, and 0.0, respectively. Potential Hazards: Varies, depending on the location. 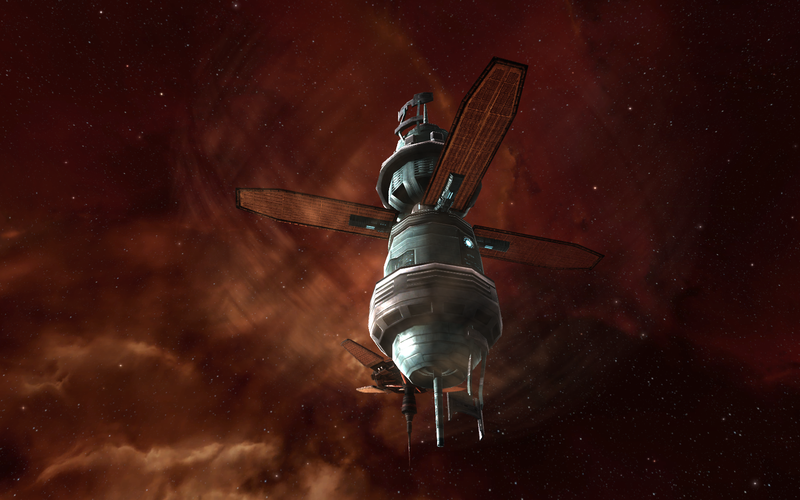 Three of the sites are in high security space, but the sites in Mara and PF-346 should be approached with caution as they are in low sec and null sec, respectively. Caution, as always, is advised. 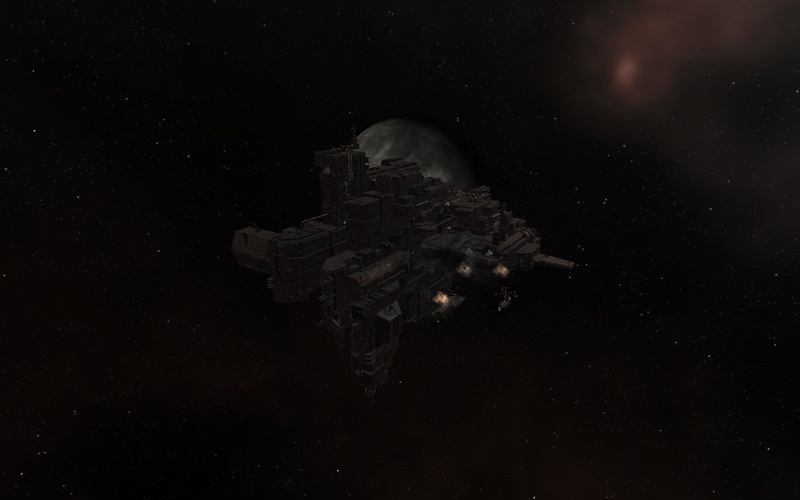 EDIT: I don’t have time to add a complete new post but some updated pictures of construction on the Citadels can be found below. For the remarkable freedom that capsuleers enjoy from most state-imposed laws in terms of fraud, murder, and general scumminess, we also have to put up with a significant amount of surveillance. 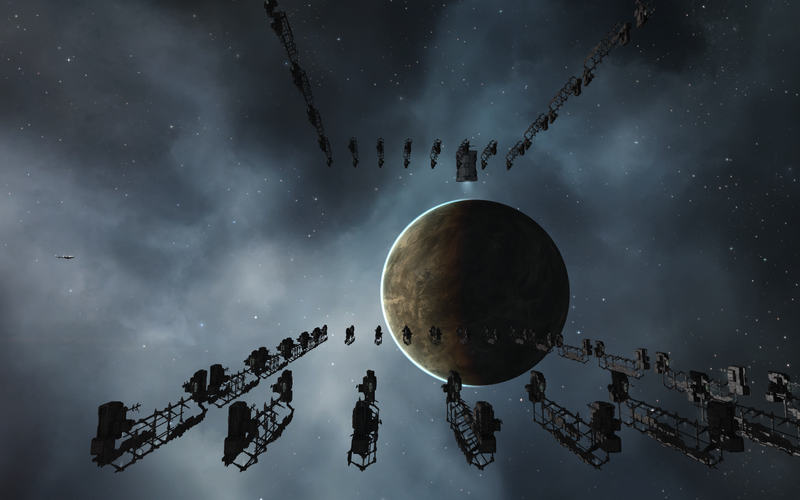 Oh, they don’t mention it much, of course, but the space lanes throughout New Eden are thick with the tendrils that CONCORD sends out to make sure we’re staying in line. How else do they know instantaneously when one capsuleer is attacking another without justification, even outside of high security space? Be it our wallet or our in-ship comms systems, few things in a pilot’s life are safe from CONCORD oversight. In order to pull something like that off, a truly massive surveillance network needs to be set up, often hidden from the prying eyes of us capsuleers to keep us from its secrets. 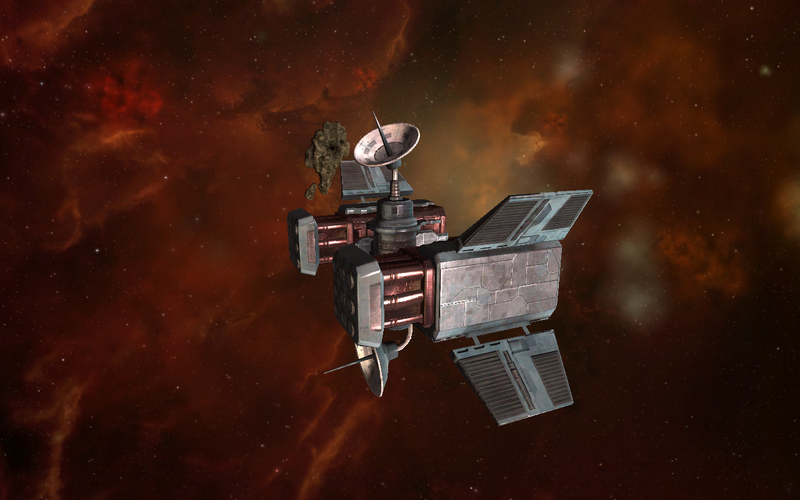 This relay station was used by the Communications Relay Committee until July YC116, when it was abandoned after an assault by Dominations forces. Containing equipment used by the CRC to monitor and intercept radio, wireless and fluid router transmissions, the DED believe that the site was attacked after intercepting encrypted data broadcasted to Angel Cartel headquarters from a scouting party in Evati. The CRC operator of this site, codenamed “Eshtir”, has vanished without trace and is now reportedly on the run from Dominations forces, whom have placed a sizeable bounty on his head. Support girders stick out from the remains of the destroyed battleship. Compared to some of the other covert reconnaissance sites I’ve seen, the CONCORD site is surprisingly simple in design, though I suppose it’s fair to assume that CONCORD probably did a bit of cleanup work and got rid of all the real goodies before broadcasting its existence to anyone in the system. Still, I was expecting a bit more than just a receiver array and a power/shield generator in terms of equipment (and don’t even ask me how an antenna is supposed intercept fluid-router transmissions, but I suppose that is yet another CONCORD mystery™). But if it works for them – and from all indications, it does – who am I to argue? The power generator for the site. 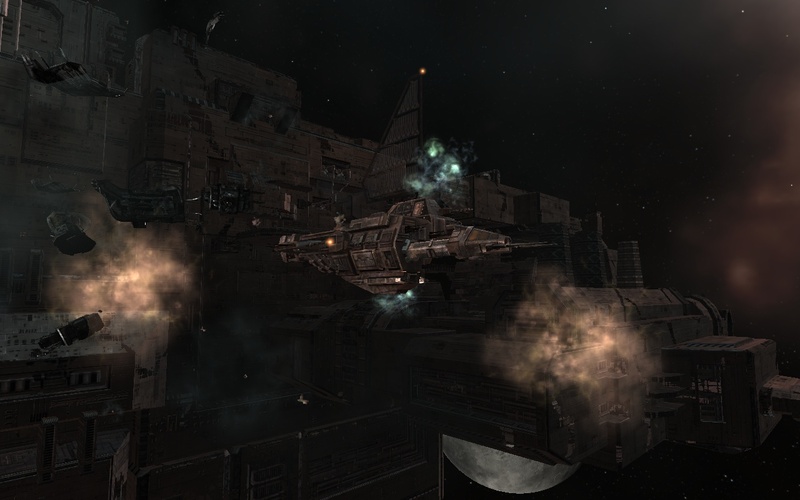 The only other notable item at the site was the remains of a Raven-class battleship; apparently, the one that Eshtir was on at the time of the attack. My scans didn’t shed any light as to Eshtir’s fate, but I wish him luck nonetheless. The Angels are relentless hunters; if anyone is capable of finding Eshtir now, it’d undoubtedly be them. After a few minutes at the site, it was time for me to move on. New sights beckoned, even if they were coming fewer and fewer these days. Still, if there’s anything I’ve learned about New Eden in these past years, it’s that it’s always full of surprises. You just have to know where to look. Potential Hazards: Arnher is located in low security space. Pirates and gate camps should be expected, and caution is advised. A cov ops or other cloaking ship is recommended. I’ve often wondered what drives non-capsuleers to the pirate life. For us pod pilots, the reasoning is pretty simple: mayhem is fun and screw the consequences. But there’s a somewhat more nuanced decision chain for people who won’t wake up in a vat of goo with a new body should they take their craft a bit too far. Some, undoubtedly, are just like capsuleers: they just want to cause some mayhem even if it cuts their lives short. But many, if not most, have a different dynamic at work. Some may truly believe in the ideology behind their causes (such as they are). Others may simply have nowhere else to go. For whatever reason, they can’t return to civilization so they turn to the only people who will give them some food and not ask questions. For others still, some other reason may have brought them into the pirate life. And the pirate life is not an easy one. Most pirate organizations tend to be rather… tough when it comes to troop discipline. Not to mention the variety of inter-pirate turf wars that can frequently pop up with little warning. And CONCORD, who would undoubtedly love to bring some civility to low and null security space if they had the resources. And 90% of capsuleers, who will go after pirate ships either as a way to ingratiate themselves with CONCORD or just to earn a few extra bucks between CTAs. 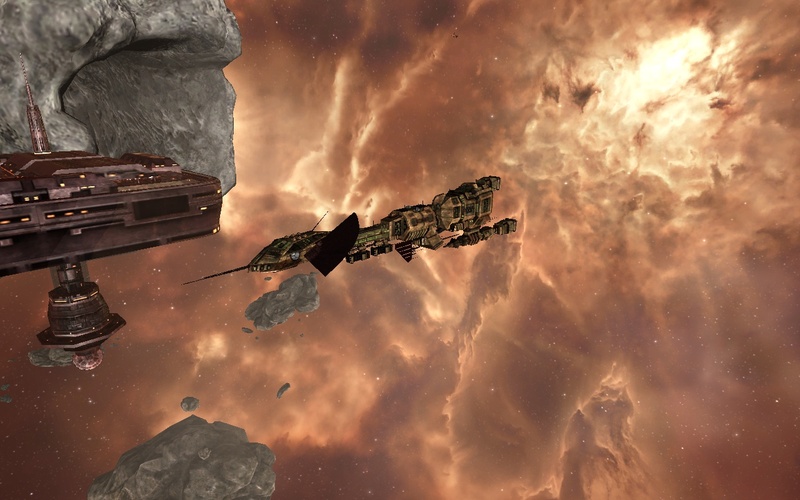 Given what is undoubtedly the short life span of most pirates at any given time, any rational person would have to be pretty desperate indeed to willingly choose to be a pirate (the fact that most of these dangers exist at equal, or perhaps even higher risk levels for members of a capsuleer crew are another matter entirely). 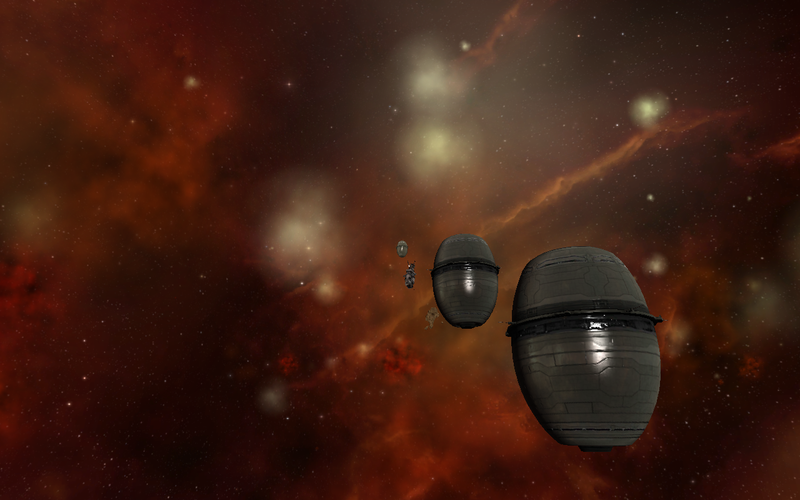 Pirate hideouts are often found tucked away inside the deadspace pocket of a high security system or floating more openly in the lawless sectors of space, where they attract questionable clientele. For the Cartel, these places serve as a home and base of operations. At any given time, the occupants must be able to answer the call to arms or provide sanctuary to ranking members of the Cartel’s shadowy leadership. The re-purposed toxic waste dump here was crawling with activity. Cruisers lumbered about, ready to respond warp out to some trouble spot at a moment’s notice, if necessary. Or flee should there be a hardened assault on the site. Smaller frigates flitted about, but that was about the extent of the fortifications to the site. A solitary missile batter ostensibly stood guard, but it didn’t look like it had been fueled, much less stocked with ammo, in quite some time. Presumably, sites like this were a dime a dozen in lower-security space. 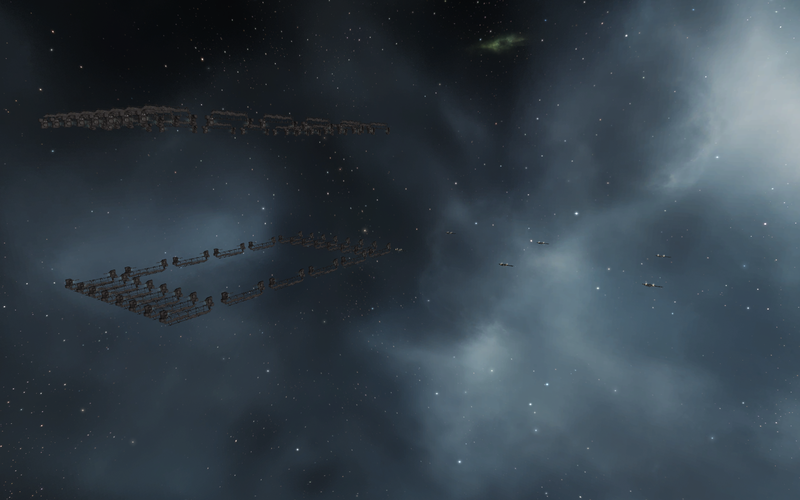 Should the Cartel lose one site for any reason, 10 more within a 2 jump area stood ready to take its place. Two of the silos still hold their toxic waste, the distant one has lost integrity, however. Potential Hazards: Eurgrana is located in low security space. Pirates and gate camps should be expected, and caution is advised. Rats can obviously be found at the site, but it’s nothing too major. A cov ops or other cloaking ship is recommended. 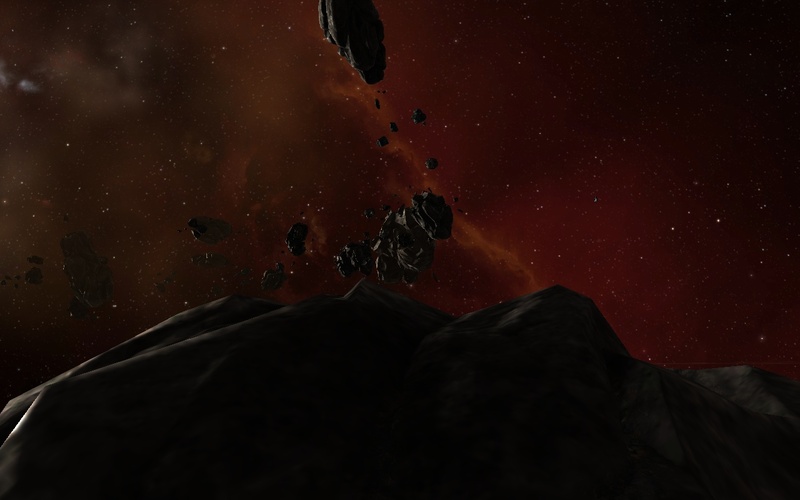 Tvink shines in the background of the asteroid field. 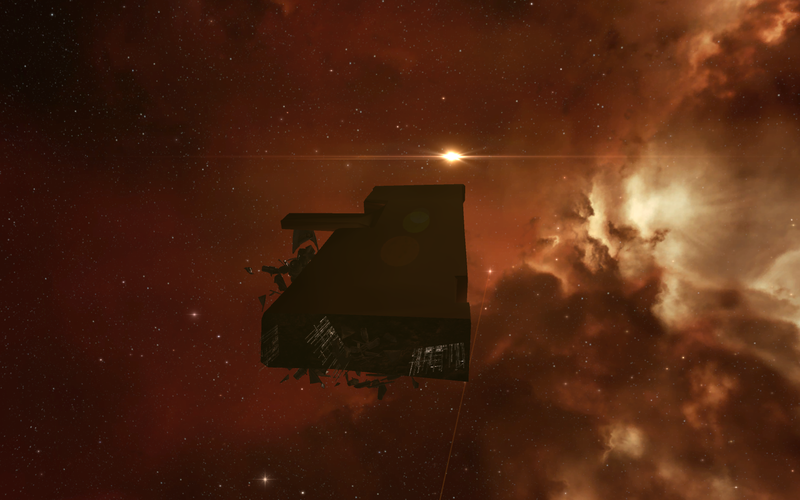 Drugs are well known throughout New Eden. Medicinal drugs, spiritual drugs, and yes, particularly recreational drugs have a rich history throughout the Cluster. But there’s more to drugs than just making you feel better (either during a sickness or just, you know, in general, depending on your proclivities). For quite a while now, drugs have also been used to help improve certain aspects of your life. Steroids are probably the best example of this, by vastly increasing your capacity for building muscle, and thus improving your overall physical condition (at the risk of some fairly significant side effects, even today). However, while steroids have been around since before the dawn of the true space age, we have only recently seen significant development of a kind of ‘neural steroid’ that could significantly increase cognitive abilities. Oh, we’ve had drugs to increase mental focus, for a while, but that really only lets you marshal your current cognitive abilities on a task better. A forgotten sign floats nearby. No, true neural boosters – drugs that could not only increase your concentration, but also increase your actual cognitive processes (your ‘intelligence’, if you will, though it’s not quite that simple) as well – have only been in development for the past century ago. So-called neural boosters were able to drastically increase memory and other cognitive abilities. These achievements were accomplished through the use of genetically-altered viruses that directed infected cells to alter the structure of synapses and other neurological structures, increasing synapse formation. More importantly, these viruses seemed to originally have no adverse side effects. Boosters quickly grew in popularity once government approved them for human consumption, and it soon became all the rage to increase your intelligence with boosters. But, of course, nothing is ever free. It turns out that there WERE side effects to these boosters, even if they didn’t manifest themselves for a few decades. The incidence of epilepsy reached record proportions, and other long term cognitive disorders soon manifested themselves. The cause of these diseases were soon traced back to boosters; it turns out that changing protein synthesis in neural cells eventually lead to significant protein deformities, causing a whole range of neurological illnesses. The resulting backlash was all-encompassing and harsh. Well-regarded biochemical companies soon collapsed under a deluge of lawsuits, and governments couldn’t act fast enough to ban these boosters. Given the severe long term side effects, it was thought that the booster industry was gone for good. One of the Thukker ships camped near the base. This is a secluded factory site operated by some Thukker tribe nomads. It is used to manufacture various illicit substances, most notable the brand new Crystal Dust neural boosters. 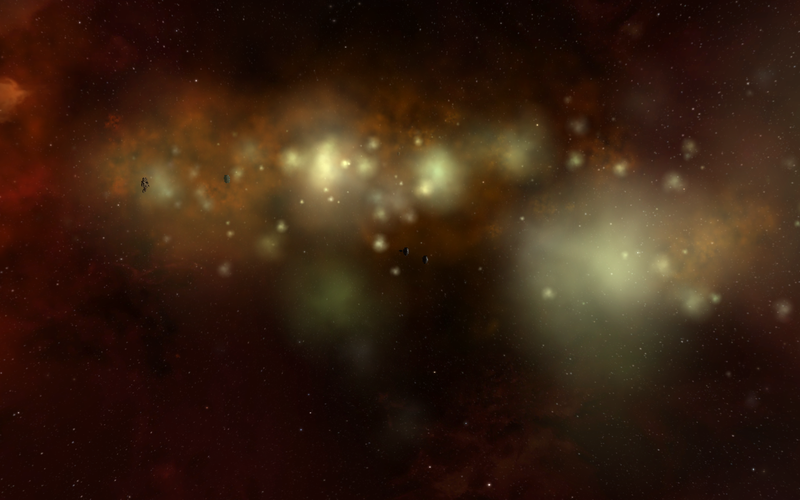 The Thukker tribe have used the Ani constellation for several decades as a base for illegal operations and to hide themselves or valuable stash in. They’re not too happy with the increasing Republic authority in the constellation, but are hoping that by laying low will keep them under the Republic’s radar. Of more immediate concern for the Thukker nomads here is the Angel cartel, which has earmarked the Ani constellation as an area ideal for organized crime. Even if the cartel and the Thukker tribe are nominally allies when it comes to dealing with the empires, the cartel is renown to tolerate no competition in those areas they consider their own. 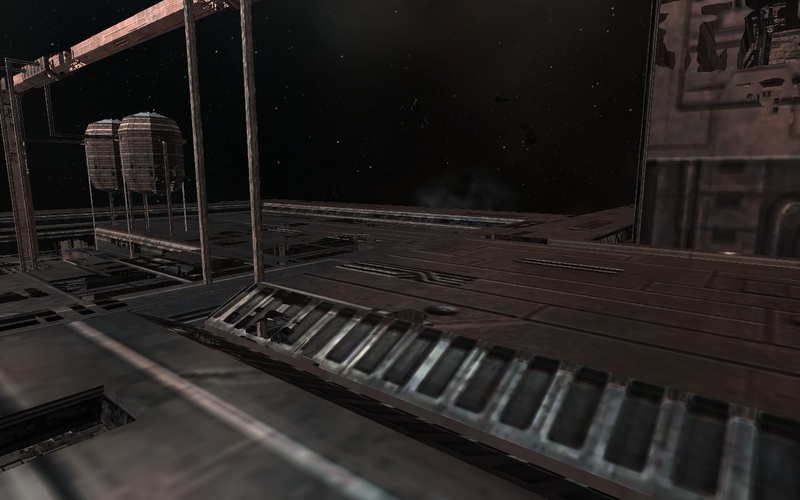 One of the Angel Cartel ships that hide amidst the outskirts of the base. The Thukkers did their job well of hiding the base (even if it is, you know, well marked in CONCORD databases apparently). The base sits amidst an asteroid field, with the production facilities hidden in the shadow of a large, hollow asteroid. It’s a small base, consisting only of a few labs, as well as a tower of some kind. A few Thukker tribe ships sit nearby. Surrounding the base sit a number of large asteroids that easily dwarf the small production lab. A quick scan of the surrounding field shows a number of useful minerals sitting in the depths of these rocks, surprisingly untouched by miners as of yet. That strikes me as a bit odd, given the obvious hopes of the Tribe to keep a low profile here, but I’m in no position to question them. A few Angel Cartel ships prowl along the outskirts of the asteroid field, apparently probing the defenses of the base (but not being afraid to go after the stray capsuleer who may wander along). I spend a few minutes poking around at the base, but frankly, there’s little to see. Perhaps the most exciting thing is seeing Tvink VII, a large gas giant with a significant ring system, providing a pleasant backdrop to many of my pictures. But it is soon time to move on. After all, plenty of more interesting sites out there to see. Potential Hazards: If you’re below a -4.5 in security status, or -5 standing with the Minmatar, you’ll have to deal with some rather unpleasant policemen. Additional Notes: This also serves as a Minmatar COSMOS site. Furthermore, the larger asteroids here are capable of being mined. The current military base seems to hide in the shadow of the massive former Nefantar station. There’s a quirky little concept in old Gallentean law I ran across a little while back. It’s called “adverse possession,” somewhat more commonly known as “squatter’s rights.” Under this doctrine, a person can obtain legal ownership over a piece of land without ever actually purchasing it. Without delving too deeply into the legal necessities, you essentially have to live on and care for the land openly for a number of years. If you do it for long enough, the law will recognize a transfer of ownership. It’s an odd doctrine for the Gallente because, generally, personal freedoms (including freedom to own property) are sacrosanct. Generally, if you own a piece of land and someone comes onto that land unwanted, you can get a court order to evict that person for trespassing. It’s one of many powers that a property owner has to defend their rights to that property, because, as a general principle, the Gallente have decided that property ownership is a good thing and work to defend that right. A closer look at the ruins of the Nefantar base. But the concept of adverse possession suggests another principle is at play as well. In order to enjoy those (many) rights to property, you have to earn that right. Land is meant to be used, and if you aren’t using the land, but won’t sell it, it’s possible the law will act to help ensure the land is used in a productive manner. If you own a piece of land, but care about it so little that you don’t realize someone is living on that land for ten years, then the law declares that you aren’t worthy of continued ownership of that land and will transfer the land to someone who will actually put the land to use. Once you think about it, it’s a rather startling principle… at least depending on your background. 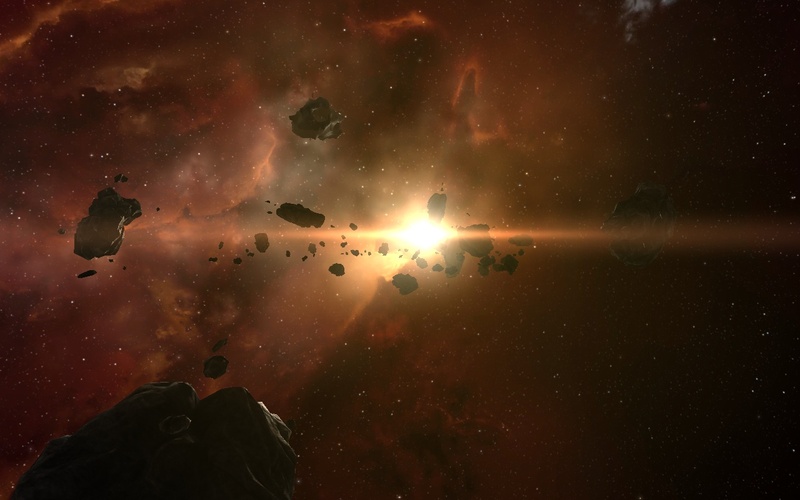 For example, a Caldari would probably be rather unsurprised if one of the megacorporations decided to unceremoniously boot them from their home for the purpose of building a new distribution center, and an Amarr might be removed from his land to build a Church. But for the freedom-loving Gallente, it’s a surprising doctrine. The Republic considers the conflict in the Traun system a test of whether its resettlement effort is to have any chance of succeeding or not. If the Republic forces are unable to dislodge the pirate factions from Traun, the Parliament is liable to pull the plug for the whole project, with all the political backlash that would entail. The enemies of the Republic know this and are pouring everything they have into Traun. Looking from the repair bay onto the rest of the base. 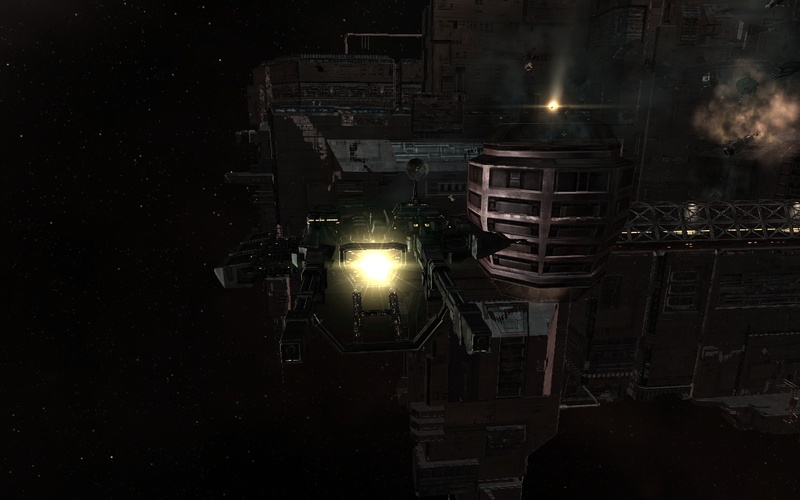 In an attempt to regain control over Traun, the Minmatar have apparently converted an old Nefantar base into their current HQ. However, they apparently have forgone retrofitting the base itself. 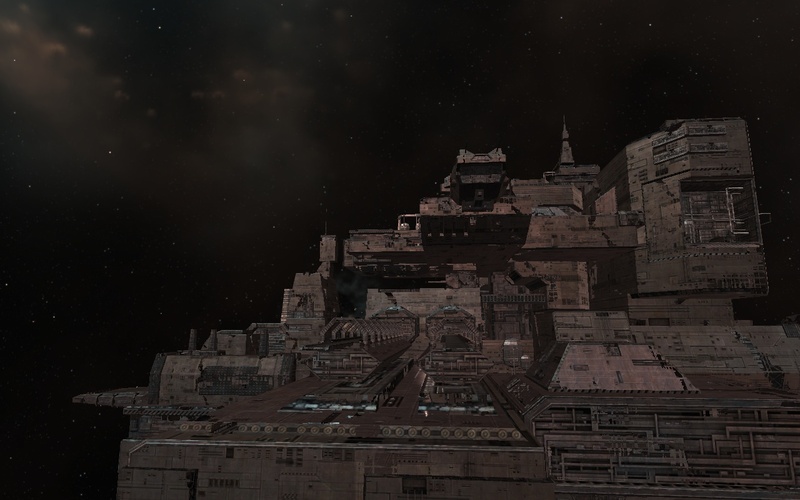 Instead, the hulking base stands as merely an empty shell to the nearby base, seemingly overlooking the various structures the Minmatar have since erected. Like most of the Nefantar bases in the region, this one is also picked clean, with nothing but the superstructure of the base remaining. Still, it gave me another opportunity to admire the boxy, yet still intriguing Nefantar architecture, with it’s massive docking portals as well as the detail built straight into the hull plating. I had to admit I rather enjoyed the Nefantar architecture that I’ve seen throughout this trip. It wasn’t graceful like the Amarr, or organic like the Gallente, but there was a certain almost vulnerable quality to it. Like they were unsure of themselves and so tried to make their stations look as solid-looking as possible (or so the theory goes in my head, at least, I’ve been wrong about such things before). A closer look at the odd yellow glow emanating from the repair bay. Nearby sits the actual Republic military forces, centered around a logistical and repair base. The sprawling base included numerous quarters for local forces, as well as supplies. To one end of the base sits the main repair bay. Oddly, Aura told me that the name of the repair bay was the “Redoubt Gate.” Even more oddly, the repair slip, rather than holding a ship under repairs or under construction, had a rather odd shining yellow object in the center. I could make neither heads nor tails out of it, but considering the fact that the nearby naval vessels didn’t seem overly concerned, I decided to just let it be. The rest of the base consisted of administrative services for the local naval forces, as well as command-and-control systems for the local military. All in all, it struck me as just what it appeared to be: a forward base for local military forces. One of the ships that has set up station near the military base. Debris from the Nefantar station floats nearby. As might be expected for a naval base, numerous ships stood guard over the facility, while others milled about as they took care of their business near the base. 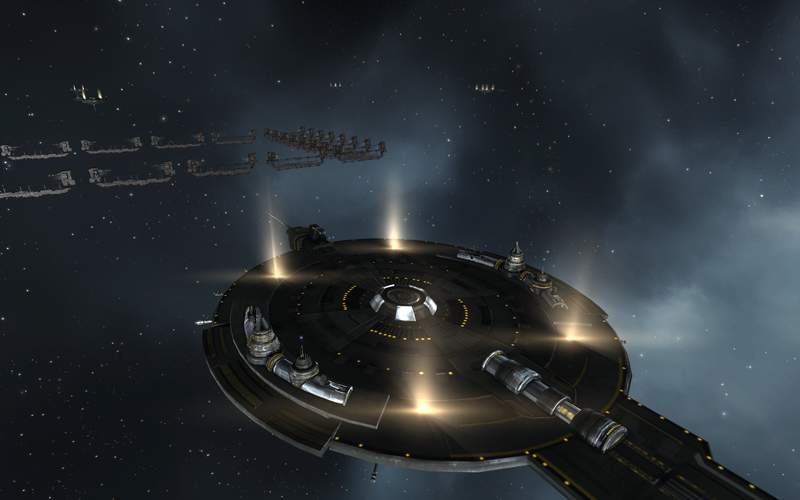 A number of smaller ships also took up station near the base. Some were just locals looking for a bit of protection from the Republic Fleet, while others were naval officers. Indeed, one of the local officers seemed more than happy to ask for help from any passing capsuleers, if only to make the best out of a locally bad situation. I had to turn him down, however, as I was somewhat pressed for time. Speaking of that, it was past time for me to take my leave of Traun. After a brief word of encouragement to the local forces, I moved on, leaving the local military forces to their job of proving that they owned Traun in more than just name, and intended to prove it. Potential Hazards: If you’re below a -4 in security status, or -5 standing with the Minmatar, you’ll have to deal with some rather unpleasant policemen. Additional Notes: This also serves as a Minmatar COSMOS site. The abandoned research station originally focused on antimatter research. 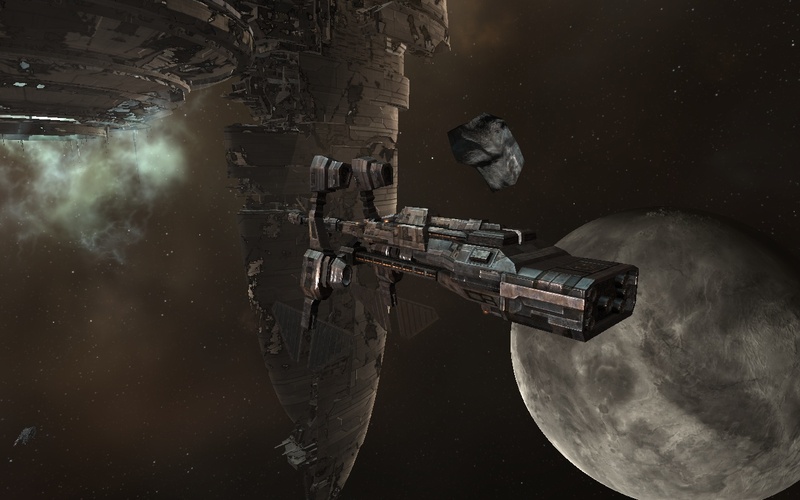 One of the things that has always impressed (and depressed) me about New Eden is the sheer amount of ways we’ve invented to kill someone or make their ship blow up. We have self-propelled missiles to fling damage across space. Autocannons and artillery shoot old-fashioned projectiles that can smash a ship’s armor to shreds. Lasers zap destructive power across the entirety of the electromagnetic spectrum. Railguns use magnets to accelerate projectiles to nearly the speed of light that can pierce armor and bodies alike. And, of course, each empire has taken its weapons system of choice to the logical extreme in creating the 4 types of doomsday weapons. Given the sheer variety of weapons systems, ammos, and strategies in the Cluster, just about everyone can have their own personal way to make something explode. One of the ships that has set up station in the nearby field of asteroids. When scientists first started serious research on anti-matter there was a public outcry over the supposed dangers this entailed. Thus, the first anti-matter laboratories were forced out into space. 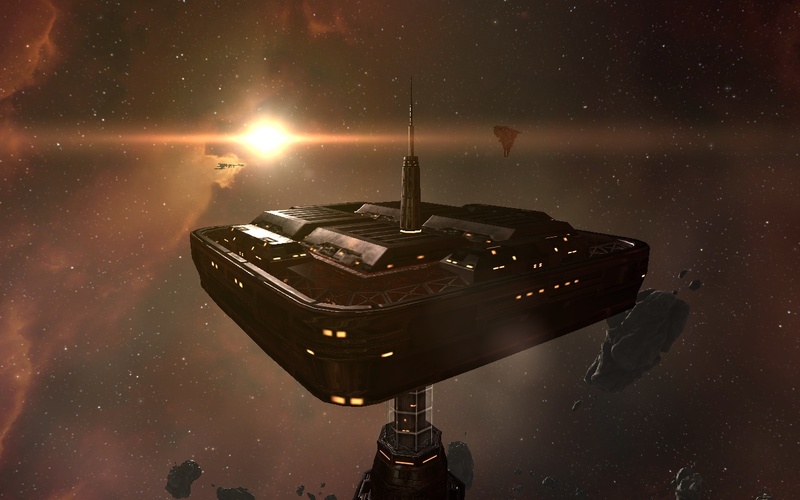 One such laboratory was constructed here in the Hjoramold system during the Amarr occupation, headed by the renown scientist Dr. Hydar Perdikan. The laboratory was at the forefront of anti-matter research for decades, but was closed shortly before the Minmatar Rebellion. Dr. Perdikan refused to leave his lab though and lived there for the rest of his days. He started to dabble in cybernetics and implants and used many of his inventions on himself. He survived the rebellion and was left alone by the Minmatars, as he was considered harmless. Some called him Dr. Hermit, but he was better known as Machine Head. He has not been heard from in almost 50 years, his remains probably still lie in the ruins of his old lab. The scavenger colony can be seen poking out of the station's docking port. Apparently the labs suffered a classic case of NIMBY: Not In My Back Yard. These are items that have a universal use, but no one wants to live particularly close by them. The most traditional example is a garbage dump. Everyone makes garbage, everyone uses trash services, but they’d prefer not to see that junk out of their backyards. Of course, antimatter research is slightly more dangerous than merely bad odors, even if it could be just as useful. Even fusion can’t match the sheer efficiency of a true antimatter reactor, and a safe and stable reactor could provide significant power increases, which is always useful to a pilot looking for that last megawatt of powergrid. In any case, until the technology WAS stable, it was understandable to keep research into it offworld, where any mistakes would only lead to destruction of nearby structures as opposed to significant ecological damage. A closer up view of the scavenger colony. Surprisingly, the lab itself was Amarr in design. Well, perhaps that wasn’t surprising. Though historical records are a bit sparse, it seems likely that Dr. Perdikan was in fact Amarr and his research funded by the Amarr. It makes sense that the Amarr would want to isolate such research from the Empire as much as possible, so putting it into Minmatar space makes perfect sense from their point of view (while still assuring the local Nefantar administration that the station was an honor, I’m sure). It would certainly fit Amarrian behavior. Of course, it’s entirely possible that the good Doctor was actually Minmatar, meaning his research was just subsidized by the Empire. The fact that he chose to stay in Republic space after the Rebellion at least suggests he probably had Minmatar sympathies (or that he was one of those scientists so completely absorbed by his research that he didn’t recognize what was going on in the broader world, I suppose). The other main ship that can often be found near the colony. With the lab apparently abandoned for over 50 years, however, the station has certainly seen better days. 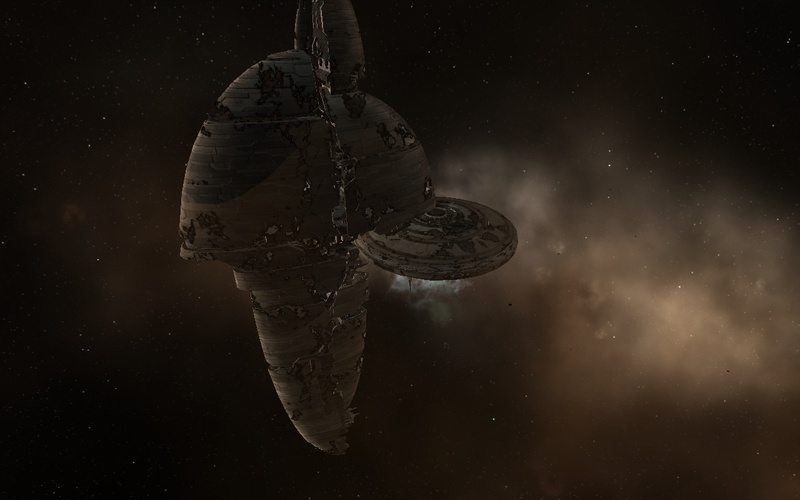 As is usual in New Eden, the structure itself has been picked bare, leaving only the main superstructure of the station. Given the fact that the entire area wasn’t a gamma-irradiated wasteland, it seems safe to assume that all antimatter in the lab was either safely disposed of or stolen by pirates who managed to not blow themselves up. If there are any remaining antimatter caches, my sensors didn’t pick it up. While the lab itself may be dead, however, the surrounding areas showed signs of life. Indeed, the station’s salvage was apparently so lucrative that local scavengers saw it profitable to establish a full-fledged colony here. Sitting partially within the station near it’s massive dock/undock port, the colony itself is a hodge-podge of asteroids hollowed out and tied together by a series of tubes. A number of other asteroids had also been towed near the vicinity of the station, probably for raw materials in use on the station. I’m not sure how much lucrative salvage was still left on the station (my sensors didn’t detect anything), but they certainly have yet to move on. Indeed, there were even a few ships nearby that seemed to make this station their home port. Remains of radiation? Random nebula? We may never know. I took a few minutes wandering around the station. Though Dr. Perdikan’s name has been well-recorded in the history books, his research results seemed less so. Antimatter-based technology as a whole still seems to be in its infancy. “Infancy” here meaning still devoted purely to killing things as opposed to more constructive uses… a surprisingly large number of technologies got their start in a similar matter. 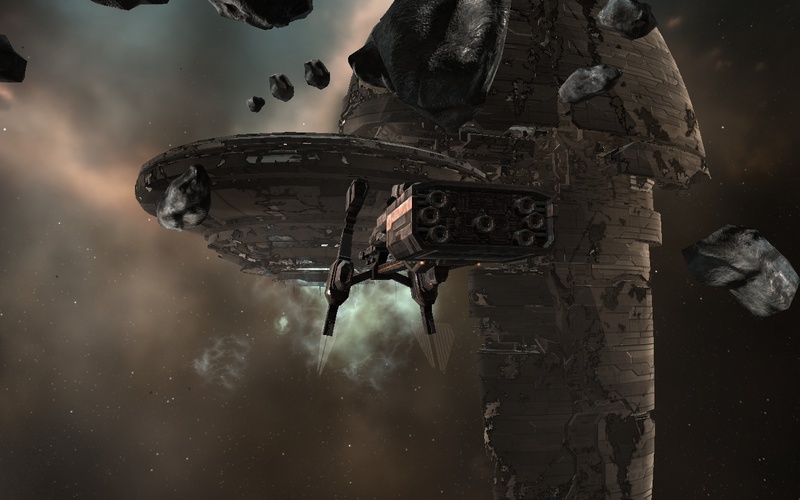 Necessity, they say, is the mother of all invention, and in a war-torn cluster like New Eden, there is often little more necessary than killing the enemy. Indeed, I would not be surprised if within the foreseeable, antimatter on its own became a fifth major weapons system in New Eden. After all, we can always use more ways to kill one another.